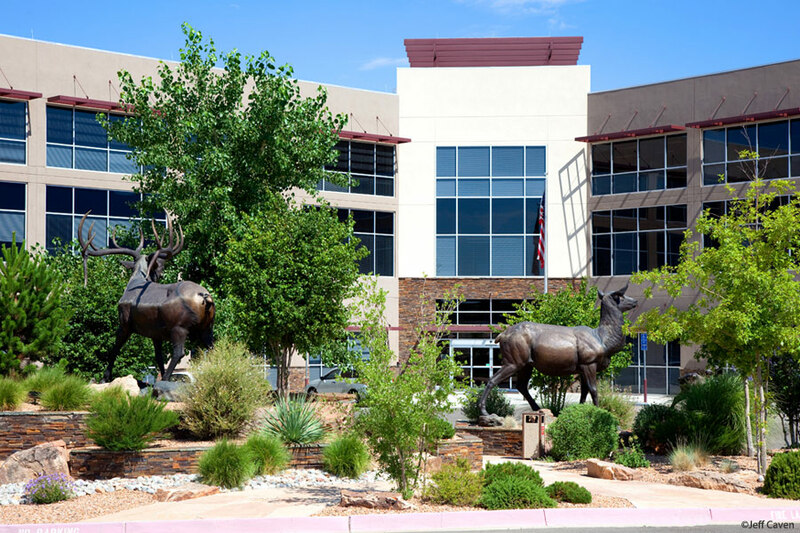 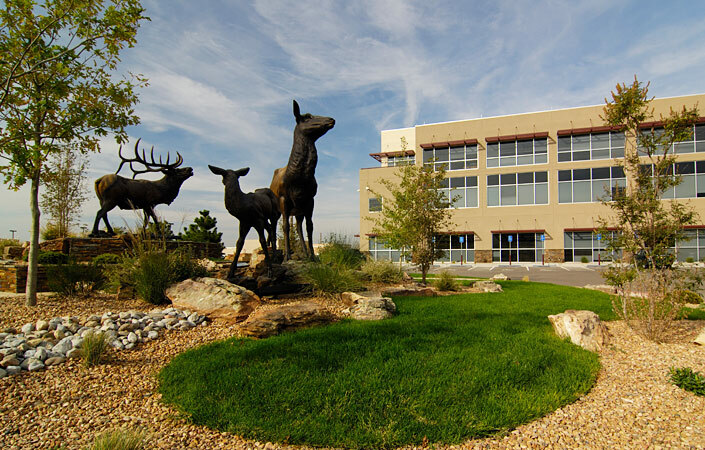 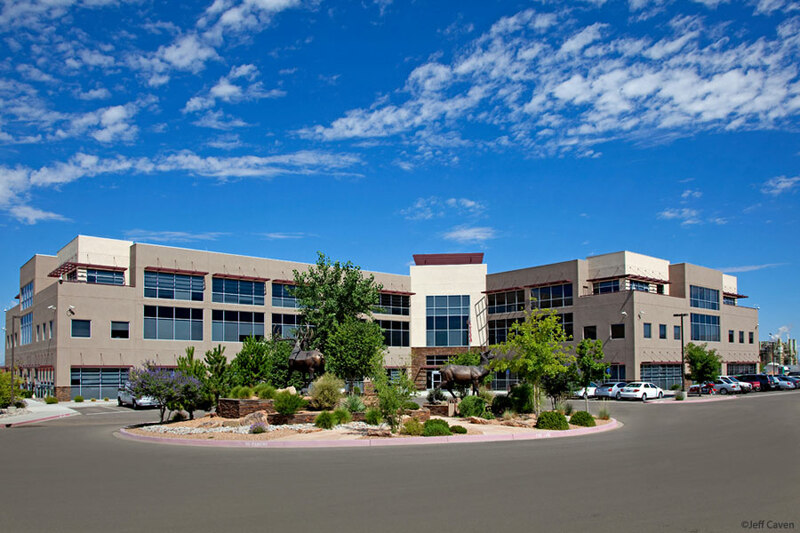 This three-story building for the USDA Forest Service, situated in the planned business community of Journal Center 2 in Albuquerque, was designed with the community’s overall design guidelines and plant list in mind—a mixture of native and established low water plants, focusing on soft forms and contemporaneous placement to complement the general architecture of the neighborhood. 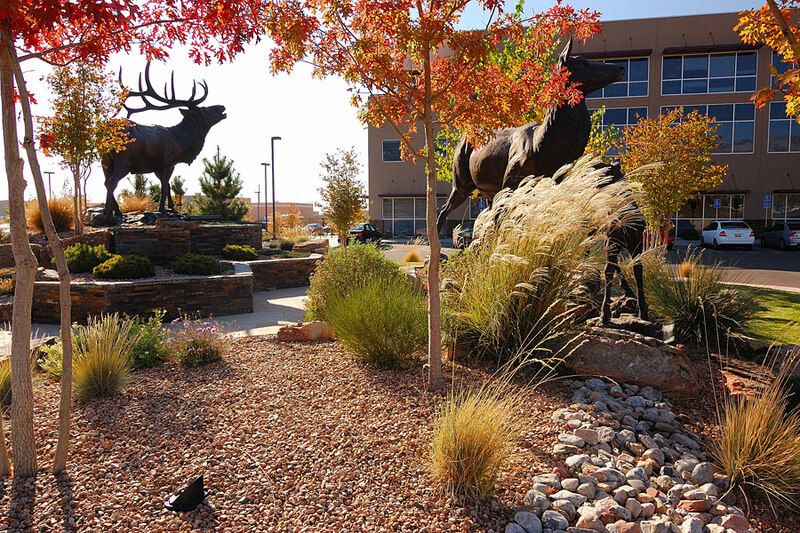 The Hilltop also designed and built the round-about featuring a family of elk at an impressive 150% life scale. 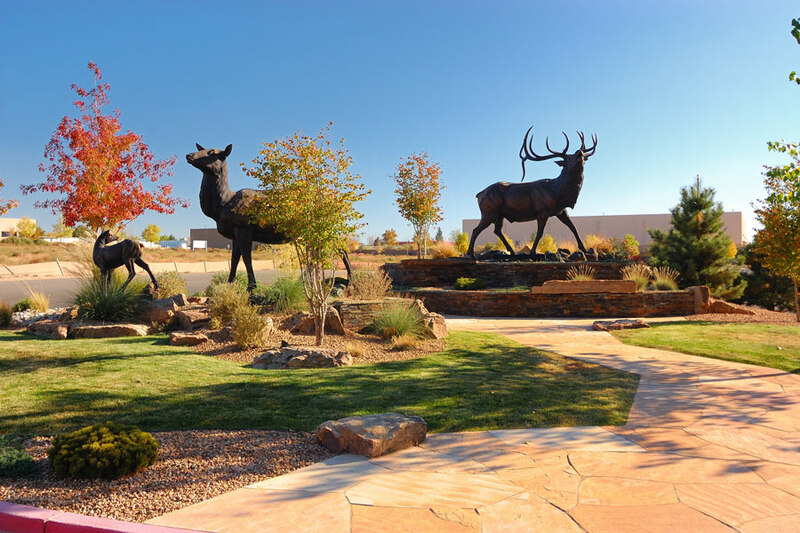 A more lush approach was utilized, attempting to aid the viewer imagine a tranquil forest scene including cottonwoods, pine trees, wispy native grasses, flowering groundcover, large boulders, and natural stone veneered seating.